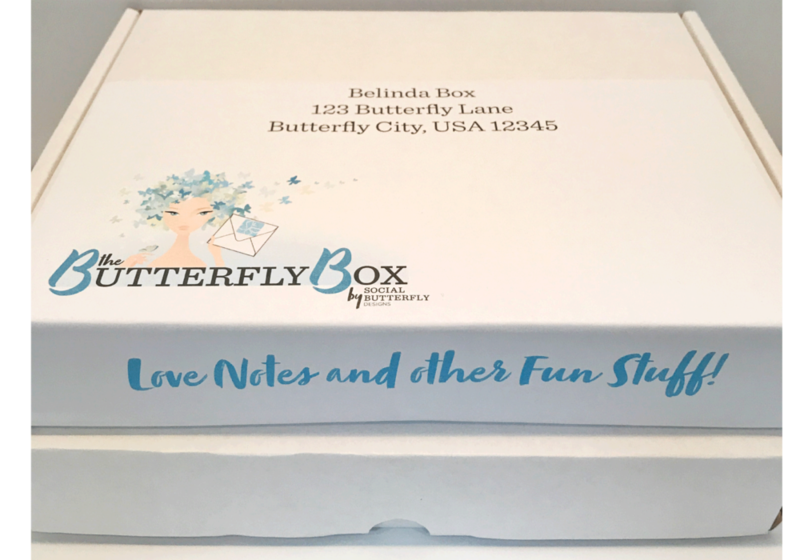 Introducing "The Butterfly Box" and "Social Butterfly Monthly" Subscription Services! Well, I am just a little excited over here to be launching a brand new product in the Social Butterfly Designs specialty line up! It's always been my motto to keep things fresh and innovative. So with the launch of the new website I am going to be introducing a lot of new products in the new year!! Because I am a big fan of subscription boxes, not only for their great value but for their fun factor too....a little unexpected surprise for something I have an affinity towards sent directly to me each quarter or month, oh my!...I have decided to create a subscription service for my stationery and other "fun stuff" for Social Butterfly Designs. If the quarterly version sounds like more than you want there is a "lighter" version in THE SOCIAL BUTTERFLY MONTHLY subscription which will be mailed at the start of each month in a sturdy mailing envelope and will include 4 greeting cards including at least one that pertains to events happening in that season along with three selection ranging from birthday cards, friendship, gratitude and other everyday occasion cards to keep you well stocked throughout the year. (click above to link to product page for pricing and details). Oh, and I forget to mention....stamps are included with each mailing...and the shipping is included in the price...so it really is a win win for all you letter writers out there!